More from the new Irish brand in the fridge of your local wholefood shop. These products appear to be trickling onto shelves and maybe they'll find themselves a niche. 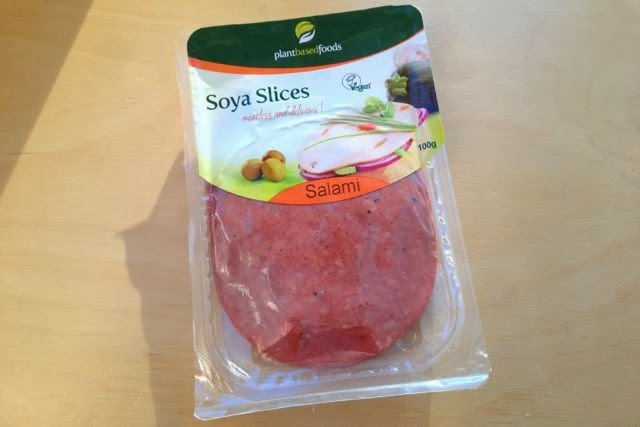 The soya slices range includes mock chicken, ham and these salami style cuts. Could they make a worthy continental breakfast?